Pilates workshop with Boris Cossio on 15 & 16 April 2016 from 9 to 12am. Yoga workshop with Maria Schucheter et Orazio Giurdanella, 14 & 15 May 2016. Leg Extension Unit GYROTONIC® professional course with Elena Spaziani from the 1st to the 6 of October 2016. 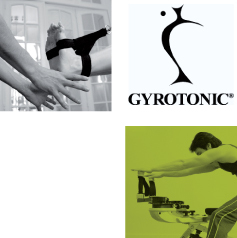 GYROTONIC® Pre Traning course with Boris Cossio on June 6, 7, 8, 9,10, 13 & 14.